“Audiophiles who appreciate variety and musicianship should make space on their shelves for this eclectic and deeply satisfying CD. Deane, a Dublin-born guitarist, has been kicking around as a session player and sometime front-man since the 1960s, so he must be pushing 70. Still, his musical intelligence ranges over a variety of styles: every cut on this album feels fresh and innovative. And Deane’s voice somehow sounds like that of a teenager. Some of the cuts have a carefree, radio-friendly feel. Deane’s age notwithstanding, I Need a Holiday, written by Dan Penn and Chuck Prophet, should be a hit today – people should blast it out as they cruise in their convertibles with the tops down. Just feel-good stuff. The blues are here, too, in the form of covers of Muddy Waters’ I Can’t Be Satisfied and Taj Mahal’s Queen Bee. Half of the 12 songs on the album are instrumentals, and Deane’s impeccable musicianship shines – from tasty slide to fluidly picked leads to wonderful chord changes. (He is, by the way, one of those weirdos who plays the guitar left-handed and upside-down – weirdos whose number also included the great guitarist Albert King). It’s For You, with its flamenco feel, was influenced, Deane says, both by Robert Johnson and Francisco Tarrega, a Spanish classical guitarist and composer who died more than a century ago. And Nick Lowe, with whom Deane toured in the 1990s, probably influenced the opening cut, Vampire. The instrumental Harlem Nocturne, sounds bluesy but eerie. And Deane describes the mellow closing track, an instrumental in which his relaxed yet emotive guitar ranges over a rich backdrop of instruments, as ‘the nearest I’ve managed to get to playing with a string orchestra’. Ed Deane’s resonant Wireless Set brims with guitar-laden numbers that attest to an enduring music career with origins in the 1960s. Influences from the decades since the 60s – and before – are evident in the guitarist’s first solo studio album* after the jazzy, blues-infused, all-instrumental Slideshow (2006).Wireless Set is a seriously eclectic affair with a rockier vibe than its predecessor and an equal mix of instrumentals and songs. Featured Musicians: Noel Bridgeman, John Quearney, Fran Byrne, Eamon Murray, Trevor Knight, James Delaney, Charlie Hart, Les Morgan, Phil Scragg, Frank Mead, Tommy Moore, Ritchie Buckley, Rory Boyle, Garvan Gallagher, Sean O’Reilly, Kevin Malone. 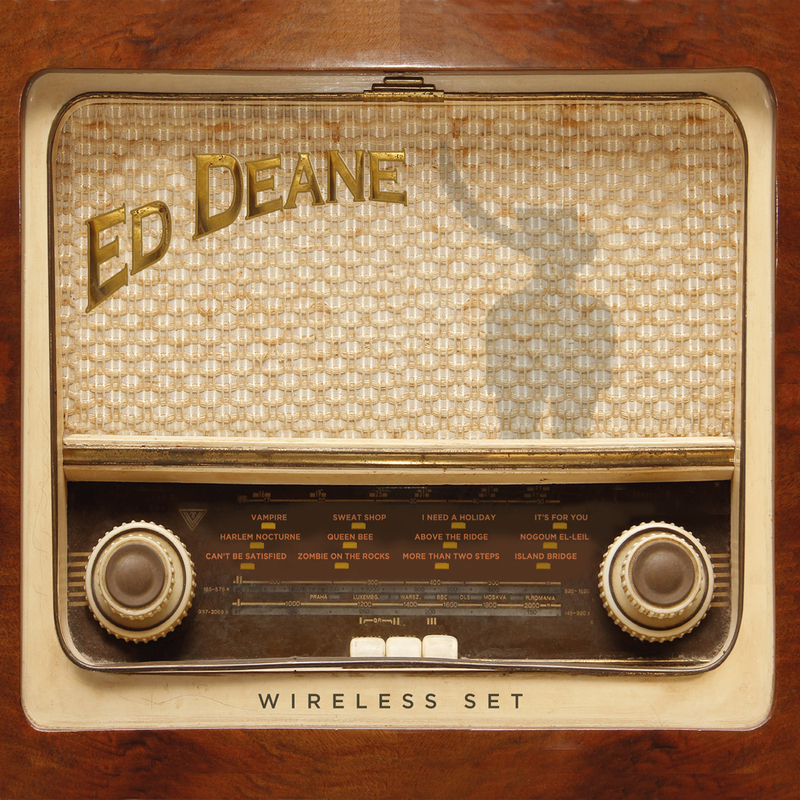 *The Ed Deane Band also released a ‘live’ seven track CD – suitably titled ‘7’ – in 2010, now only available as a download.